Roulette Is Evil. Here’s The Proof. Do you believe that roulette is evil? I don’t like roulette so I you can put me in the category of people that find these game evil although I don’t find roulette as evil as I do boring. When I was looking for a roulette wheel for yesterday’s 666 article, I came across an article that opens the door onto the true evils of roulette. Roulette history rumors that the game was invented by a mad Chinese monk way back in the fourteenth century. The truth is no one really knows who the true founder of the game really is but the legend makes room for a great topic of conversation amongst casino dealers and those interested in the game. The rumor goes along these lines, this Chinese monk invented the game of roulette but then while trying to find a system to crack the game went mad and killed himself he apparently added several references to the number 666 all over roulette. For instance add all the numbers on the roulette wheel 1 thru 36 and they total exactly 666. The funny thing is the game of roulette is marked with the number 6 all throughout, it’s up to you whether or not you believe the Chinese mad monk inventing roulette story or not. If you’re a roulette player these evils are definitely something to consider. I don’t mess with the supernatural and this just gives me more reason to avoid roulette. Here are some links if you want to add the number of the beast to your holiday gifts. It’s always fun when I can find an excuse to work Iron Maiden into my day. Today’s “Number Of The Beast” tidbit is that the numbers on a roulette wheel add up to 666. As we all know, 666 is the number of the beast. If you’re not aware, please enjoy the video below. Remember yesterday? I do. It was Wednesday. I had coffee and banana bread at Starbucks for breakfast and a salad for lunch and leftovers for dinner. There was also this story about “19 Hits 7 StraightTimes on Roulette at Rio“. I thought there was possibly something fishy going on and there was. Nothing really sketchy, just maintenance. I guess we’ll have to wait for that hundred billion to one shots to happen. Oh well, we’ll have to look elsewhere for an Ocean’s 13 moment. I don’t play much roulette so I haven’t seen anything like this before. The photo above shows the number 19 hitting 7 times in a row and 8 times in 9 spins. Hot damn! What are the odds of that happening? I’m glad you asked. The website Beyond the Best crunched the numbers and calculated the odds of the 19s hitting seven times in succession as 114 billion to 1. Obviously, hitting 8 times in 9 spins is even a bigger number. Seeing 20 hit 4 of the 6 previous spins would lead me to think that there’s some shady business here, but nothing has been found just yet. Contacted this afternoon to ask for verification of the event and if the wheel has since been tested to make sure it is properly balanced and calibrated, Caesars Entertainment officials had not yet learned of the event. I can be a conspiracy theorist and say that there’s some Ocean’s 13 shadiness going on here, but I just don’t see someone going to Rio to do that. Especially during the World Series of Poker. Then again, maybe that the genius here. I usually visit Venetian a couple times a week, but haven’t been here in a couple of weeks as I was staying next door at Palazzo then stayed away from the strip for Christmas. In that time there has been major progress in the construction to the walkway from the parking garage into the Grand Canal Shops. The photo above should give an idea of the Italian inspired wall trimmings and marble flooring. 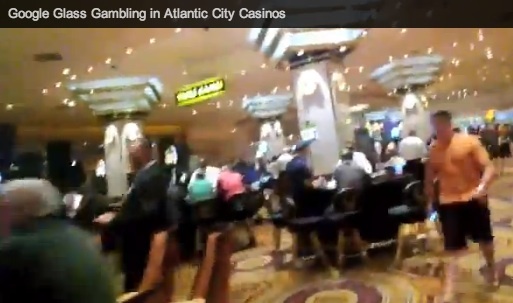 The floors look similar to the marble floors in the casino that aren’t in the lobby. 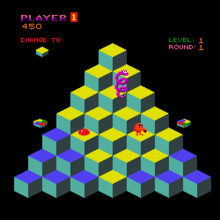 Thankfully they don’t make me as dizzy or remind me of the video game Q-Bert. 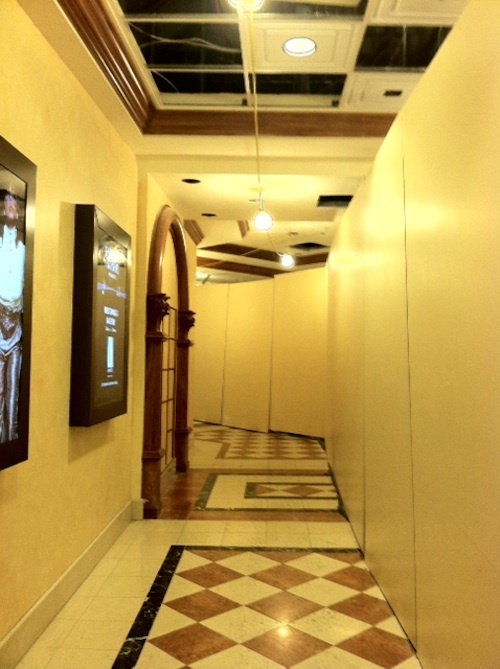 While the ceilings aren’t complete, you can get an idea of what it will look like. The floors seem to be complete as you can see from the picture above. One half of the walls are also complete with fixtures and trimmings as you can see below (click image for larger size). Something I’ve never seen before are tables being laid out with new felt. I always assumed this was done behind the scenes but I snapped this picture of a couple of felts while a worker was stapling felt to a roulette table. 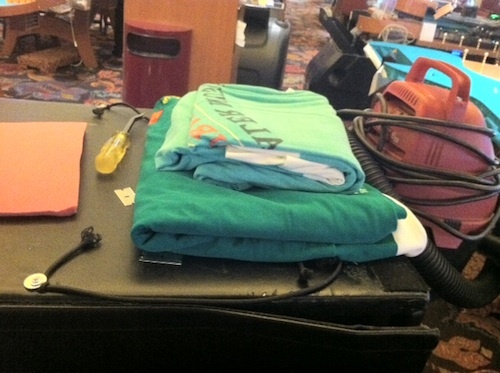 The rest of the casino floor seems to be almost cleaned, but to my disappointment my favorite penny Top Dollar slot machine was blocked off. That’s probably a good thing since I usually lose money there.